Wonderful Alice Deluxe Costume for little girls. 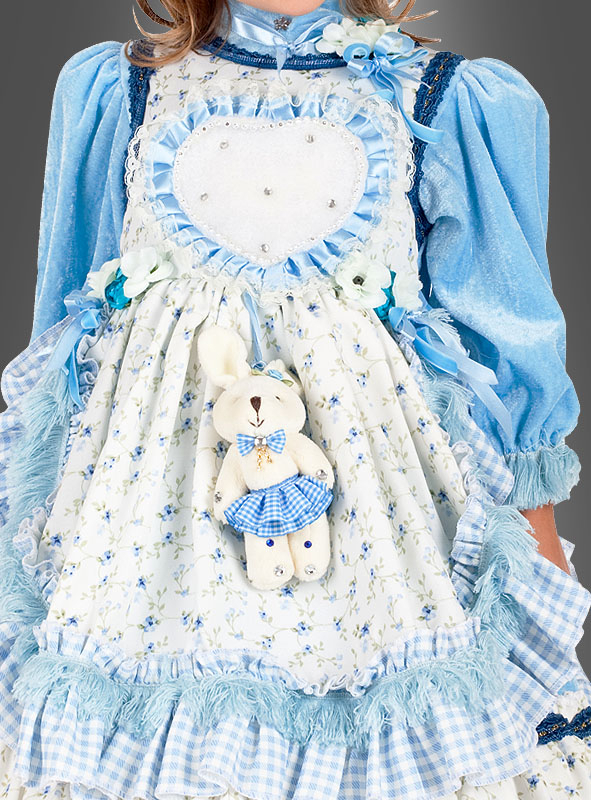 Fantastic blue dress rich decorated with bows, fabric flowers, rabbit plush animal, lots of ruffles and lace. Zipper at the back and attached apron. Headband with rabbit ears, flowers and bows. Tights and shoes not included.